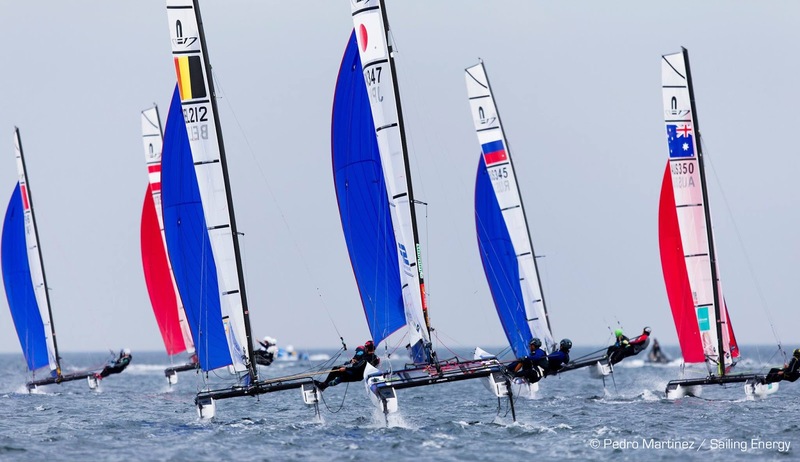 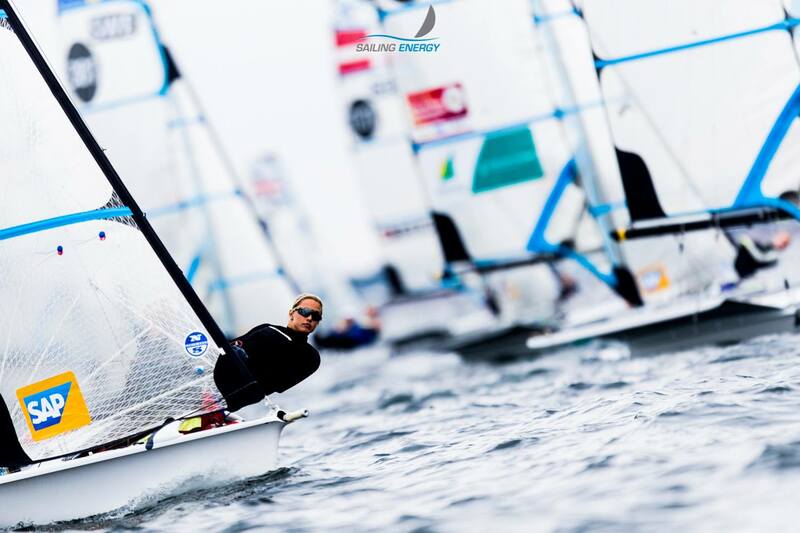 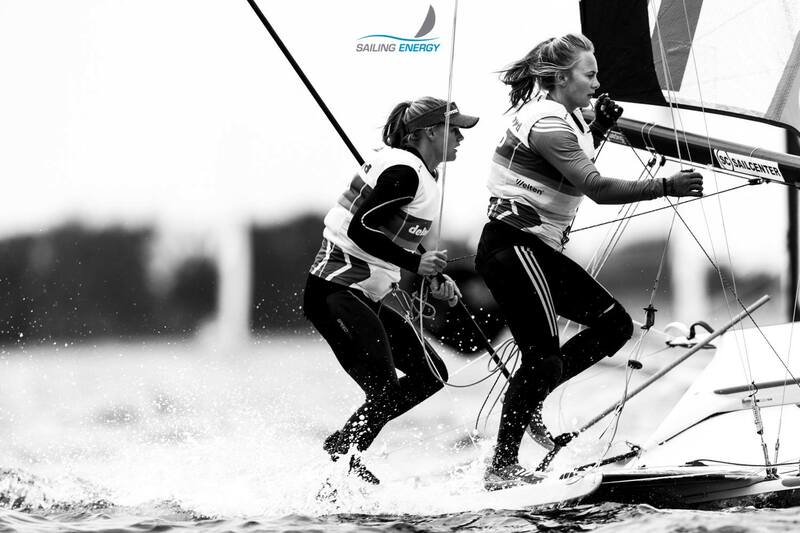 All images Pedro Martinez / Sailing Energy / Nacra 17 Europeans. 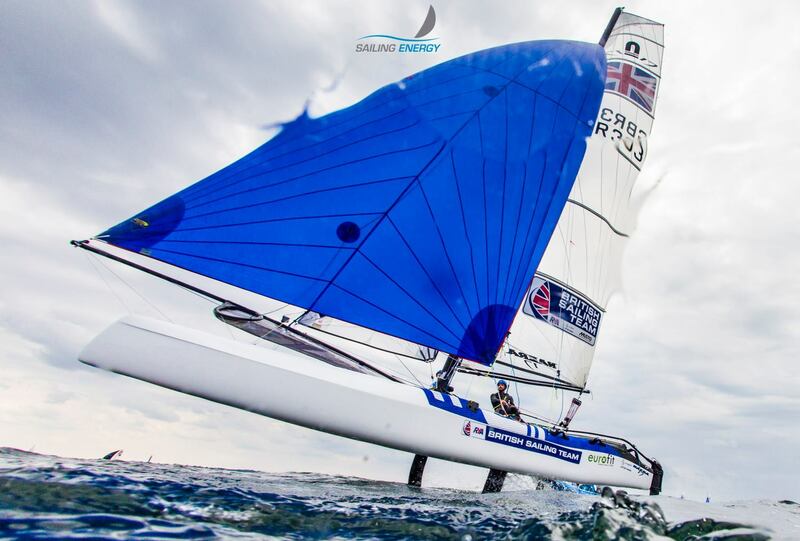 Full gallery at Nacra 17 fb & Saling Energy. - Live stream today was good but only showed 49er & 49er fx races. 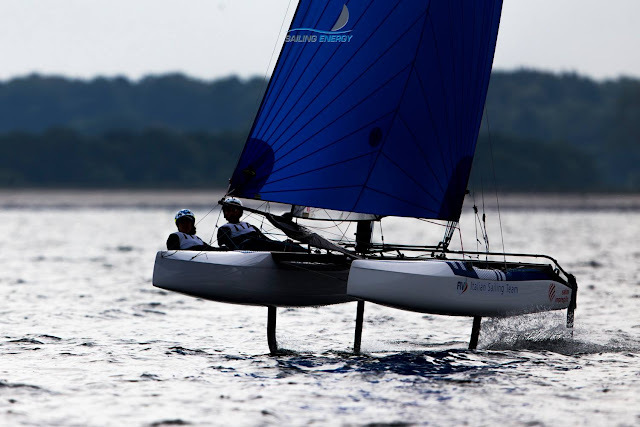 On the rest excellent coverage of the event pushed forward by the new Class mgmt. 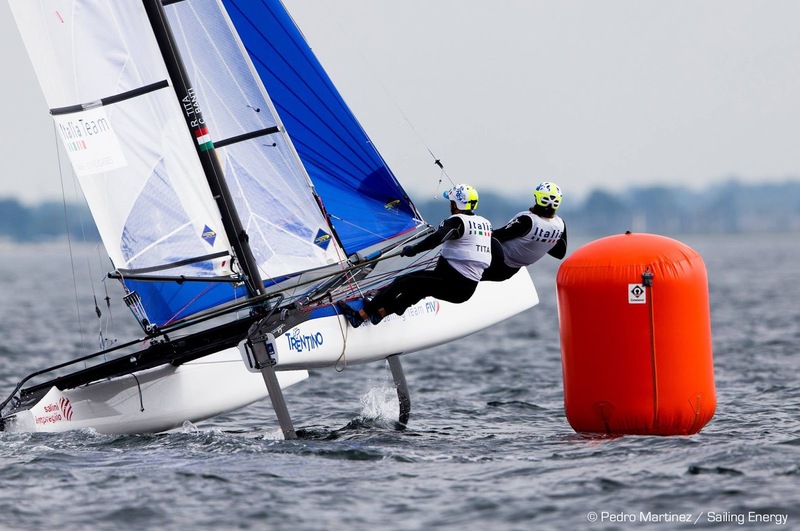 Ruggero Tita & Caterina Banti from Italy lead after 9 completed races, followed by Echavarri-Pacheco and Saxton-Dabson. - August 3 will see us covering gold fleet racing, with 20 boats for the 49er and 49erFX, and 24 boats for the Foiling Nacra 17.